Many people search for divinity in the world around them. They look for signs of a divine creator, hoping and believing that we are not alone in the universe. Philosophers, spiritualists and scientists all look for the greatest answers to our greatest questions. Where do we come from? How did the universe begin? Are we alone in the universe? What happens after we die? As best as we can tell, mankind came from evolution, the universe began suddenly in an explosion known as the Big Bang, we are probably not alone in the universe - but we have yet to make contact with alien life, and when we die our consciousness fades into nothingness. But these answers are not enough for people who are horrified at the prospect of oblivion. We look for more. We want our spirits (or souls) to live on, in heaven, through reincarnation, or even through alternate universes. Is Suicide a form of Spiritual Starvation? Great Mother, in the Mahayana and Vajrayana refers to Prajnaparamita, and the wisdom of the Madhyamaka. Great Mother, or in Latin the "Magna Mater", which refers to the Roman goddess Cybele. Great Mother of Wisdom, Yum Chenmo, a Tibetan deity of whom Machig Labdr�n is considered an emanation. 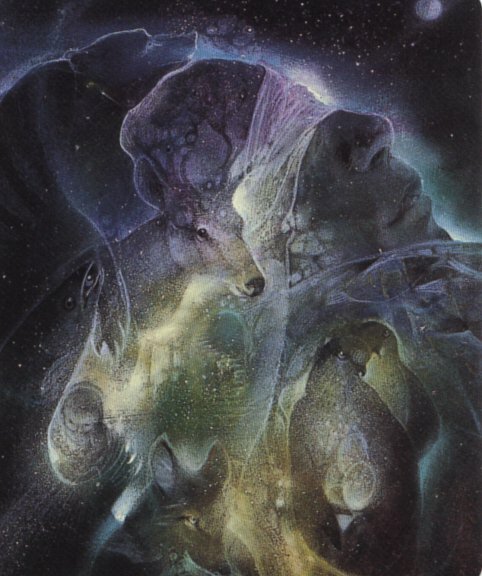 Great Mother, archetypal image in Jungian psychology. Great Mother, referring to either Hera, Lilitu, Shakti or Yahweh (the female half of the Christian god). By Reverend Sheri Heller, LCSW. We come into this world yearning to connect with the mother. Psychoanalyst Carl Gustav Jung conveyed that this innate need for mothering is archetypal, meaning that it reflects a universal symbolic pattern inherent in both the individual and collective unconscious. This universal need was collectively expressed in ancient matriarchal societies. It is no wonder that the archetypal image of the Great Mother Goddess offers a promise of power and vision to contemporary women. Attributes the Great Mother embodies, (pro)creation, nurturance, support, mercy, compassion, encouragement, and patience connect women to the instinctual energy and inner joy and strength of one�s feminine nature. Returning to the grandeur of the Mother Goddess assuages the psychological and spiritual wounds of oppression, sexism, and disillusionment, which relegate women to an inferior place. The Great Mother also reminds us to heed the urgency of the ecological crisis occurring in the world. We turn to the Great Mother with the realization that our consciousness must radically change if necessary inner and outer transformation is to occur, and if our planet is to be saved. In spite of the healing attributes of the Universal Great Mother Goddess the present day repression and rejection of her suggests the prevalence of a worldwide mother-complex. Jungian psychologist James Hillman conveyed that how one internalizes the personal mother impacts the way one perceives the archetypal mother and the feminine. Hillman wrote, �The mother complex is not my mother; it is my complex. It is the way in which my psyche has taken up my mother�. At the core of any mother complex is the mother archetype, which means that behind emotional associations with the personal mother, there is both an archetypal positive global image of nourishment and security on the one hand and an archetypal negative devouring possessiveness, darkness, and deprivation on the other. If one is stuck developmentally in the stage of idealizing the personal mother, one is likely to negate the archetypal mother�s full being by viewing her solely as the embodiment of benign tenderness and transformation. This idealized fixation makes it impossible to tolerate the darker dimensions of the mother, and in turn, those feared parts of one self and in others. The Great Mother also represents death, terror, horror, agony, and natural disaster. She is both the Creator and the Destroyer. To embrace the inherent paradox of the Great Mother requires one to accept these opposite polarities within oneself and others, and to understand that everything in life and within oneself is qualified by its opposite. Jung postulated that the merging of these opposites leads to transcendence and actualization, as it reflects the higher possibilities contained in the acceptance of things as they truly are. To allow opposites to unite, the ego is challenged to let go of its infantile need to identify only with those polarized parts considered safe and uplifting. Only then can humility replace fear and power plays, so that the Great Mother with all her ambiguity be honored for the many paradoxical truths she contains. However, with the rise of patriarchy, and the belief that nature is a force to be intellectually comprehended and controlled, the Great Mother�s transformative wisdom, dark energies, and cosmic power have been excluded from consciousness. What is perceived as threatening is denied. The feminine is relegated to a less intrusive place and is viewed as inferior and dangerous. This incomplete picture in which only �tolerable� aspects of the �Good Mother� are permitted, results in a shadow projection of the �Terrible Mother� and accordingly, an unrealistic one-dimensional idealization of the Mother archetype. This split results in the demonizing of the parts of the mother that are disowned, and the conceptualizing of these traits as sinister and forbidden. These disowned parts are a shadow projection, not only of the mother, but also those dark aspects of the self that are feared and denied. Accordingly, when the shadow projection is encountered in the outer world the impulse to violently destroy it is activated. Hence, to disown ones shadow leads to the promulgation of scapegoating, and a vehement thirst to conquer and punish. It is the Mother�s feared and envied power and our dependency on her, which ignites the primitive impulse to project threat onto the feminine, along with the accompanying need to control and dominate. Sexism, violence towards women, and the violation of the earth emanate from these unresolved psychological issues with the personal mother and accordingly, the mother archetype. Until the split can be united, and projections owned, we will continue to witness a global rejection of the Great Mother�s wisdom and contempt towards the feminine. To be who we are here to be and who we are meant to be, we need to return to the beauty and the power of the Great Mother. Relating to the archetypal Great Mother, in her positive and negative dimensions, allows for an in-depth exploration of self. She challenges us to identify the creator and destroyer within ourselves, and to transcend internal splits, so as to actualize the potential for wholeness and balance. She challenges us to examine our relationship to mothering so as to differentiate balanced reality-based perceptions from archetypal projections. She challenges us to discover the archetypal character of the Great Mother who lives in the imagination of each of us so as to make possible a different relation to our personal mother. Only then can we forgive her for not being what she could not have been�the omniscient all-giving source�and understand her unresolved wounds. When we are able to return our mother to her source, to see her in relation to, but distinct from the archetype, as its necessarily frail and fallible carrier, we may at last be able to bless what is communicated through her and to forgive what she could not give, and have gratitude for what she can. Unearthing wounds rooted in the mother-complex is a necessary step towards healing and connecting with the Great Mother from a place of renewal. Psychological resources and spiritual rituals can be instrumental in repairing deep core injuries related to the mother. The exploration of non-dualistic spiritual traditions, which integrate the masculine and feminine dimensions of existence, is a fundamental part of relating to and revering the Great Mother. Modern day spiritual gatherings revisit ancient Goddess traditions and rituals, to celebrate the Great Mothers divinity on solstices, equinoxes, and full moons. 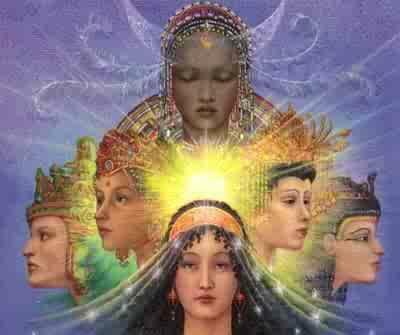 By invoking the Divine Mother through prayer, ritual and meditation, the sacredness of nature and female power can be honored and thus, a harmonizing of psyche and spirit can occur. On a global scale, we need the cooperative nurturance and maternal sustenance of the Mother to transform the world�s suffering. We need to learn to trust feminine power. As we strive to become more empathically attuned to the presence of the various faces of the archetypal mother within ourselves, and within our relationship with our personal mothers, perhaps shadow projections will dissipate and a more holistic sense of self and others can prevail. 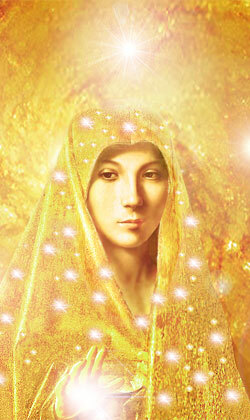 To heal the mother-complex is to heal all mankind. When we finally discover her beauty and her fierceness within ourselves, perhaps then we can resurrect the splendor of the Great Mother in all her dimensions. As a "devout atheist" myself, I would say that I am rather spiritual and that this is the result of having a deep connection and appreciation of both nature and other people. Now this doesn't mean that I believe in souls, or ghosts, or spirits, or any of that nonsense. I believe in the essence of nature and in the essence of humanity. Thus being an atheist and being spiritual is not a contradiction. A person can be both. But I would argue that if you just replace the words "spirit or soul" with the word essence, and the meaning has only subtly changed. After all, what is essence? Essence is the "intrinsic nature or indispensable quality of something, especially something abstract, that determines its character." In other words, essence is the intrinsic nature of something, including abstract things like souls and spirits, but also other abstract things like "nature" or a "feeling of being connected to the universe". So if you want to get very wordsy and worry about the technical definitions, then it still works. 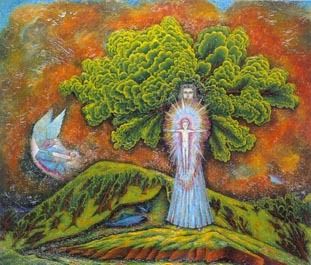 A person can feel a spiritual connection to the essence of other humans and also to nature (other living things), even if souls and spirits do not exist. On a regular basis, as an avid archer, I will have a spiritual moment while standing in a field shooting at a target 60 feet to 200+ feet away. Part of this is being surrounded by nature and being able to appreciate it, part of it is the feeling of connection to the universe an archer will sometimes get when they have a little Zen moment and do a truly amazing archery shot. Not that Zen Archery can be summed up by such moments. It is so much more than that. Note - If you do want to learn more about Zen Archery, check out my poetry book "Dreaming of Zen Archery" available on Kobo. Outside of archery I have had many other spiritual moments when I am surrounded by nature. I think it is part of humanity's hidden desire to be within nature, and that modern cities are very much anti-spiritual. Churches also aren't spiritual. I have never had any kind of spiritual moment in a church. What I do get is bored. Churches are boring (with the exception of those that have nice architecture, but even then eventually you get bored of it). Does being a spiritual atheist make me a hypocrite? No. It does not. It simply means I have an understanding that the two things are not opposites, and that they can coexist. Just like morality. Atheists can have just as much good morality as believers do, as they are bound by logic and the belief in being a good person - not because they are a superstitious person who is worried about bad karma or hell. I would argue that a person who does good deeds because they want to be a good person is still a better person than someone who only does good deeds because they are worried about eternal damnation. It is like a bully who only apologizes because they are worried about being grounded, spanked or otherwise punished. The apology is not sincere. That being said, I do still believe that karma sometimes happens, but I think it is due to causality and coincidence, and not guaranteed. It isn't a situation where someone does something bad and some powerful entity causes bad things to happen to the person, rather it is simply cause and effect and coincidence. It doesn't always happen however. As indicated by the number of horrible people in the world who get away with the horrible things they do, karma evidently does not always effect the rich or powerful. No matter how horrible they may be. If karma was consistent, it would happen constantly, and the corrupt rich/powerful people would be taught humility on a constant basis. But this is not the case. Thus karma doesn't really exist, but when cause and effect situations happen you cannot help but laugh at the people who did get caught doing something bad and were punished by coincidence / bad luck. Rather, karma seems to be more of a matter of statistics. For every 100 bad drivers who cuts someone off on the road, there is always a percentage who is later in a car accident the same day. For every 100 managers who sexually harrasses employees, there is always a percentage who gets imprisoned or sued for sexual harrassment. For every 100 criminals, there is always a percentage who get caught. For every 100 corrupt politicians, there is always a percentage who see their careers destroyed. "For every statistic there will always be exceptions thanks to dumb luck." Yes, Atheists can be spiritual. Yes, Atheists also have a sense of morality. Yes, we can even believe in good/bad luck and coincidences. None of these things are contradictions, and nor should they be considered as such.